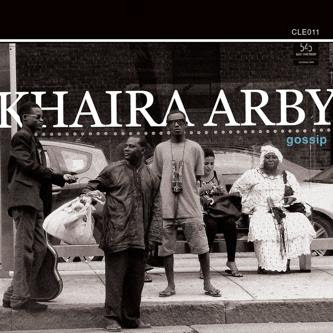 This is the fifth album by Khaira Arby, Mali’s diva of the desert, and it’s a powerhouse. 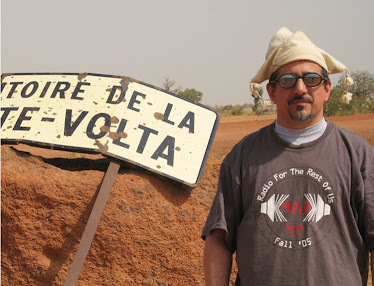 Arby is from the Songhai ethnic group, from the Timbuktu region, and she’s a cousin by marriage of the most famous Songhai musician, Ali Farka Toure. Arby’s music isn’t all that similar to Farka’s – where he explicitly channeled the blues with his stripped-down guitar and calabash combo, she’s fronting a hard rocking, fully electrified band including bass guitar and drum kit, plus organ and horn section (supplied by the Debo Band) on several tracks. Farka’s singing was usually quiet and intimate; Arby sings in the full-throated roar of Mali’s famous jelimusow, the female griots. Indeed, several of the best songs here are griot-style praise songs: 2 and 7 highlight Arby’s soaring voice and the complex interplay of her band, led by young guitarist Dramane Toure; 4 and 6 (the latter dedicated to label owner Chris Nolan) make excellent use of organ and horns. The showpiece here is the title track (10) – the stuttering rhythm suggests The Meters, the call-and-response vocals could be right out of church, and Toure’s guitar solo could have been authored by Marc Ribot. This is thoroughly modern, exhilarating traditional music.